Hand Drawn Vector Abstract Graphic Creative Cartoon Illustrations Seamless Pattern With Cosmonaut Unicorns With Old School Tattoo,pegasust And Planets In Cosmos Isolated On Black Background. Royalty Free Kliparty, Vektory A Ilustrace. Image 116302381. 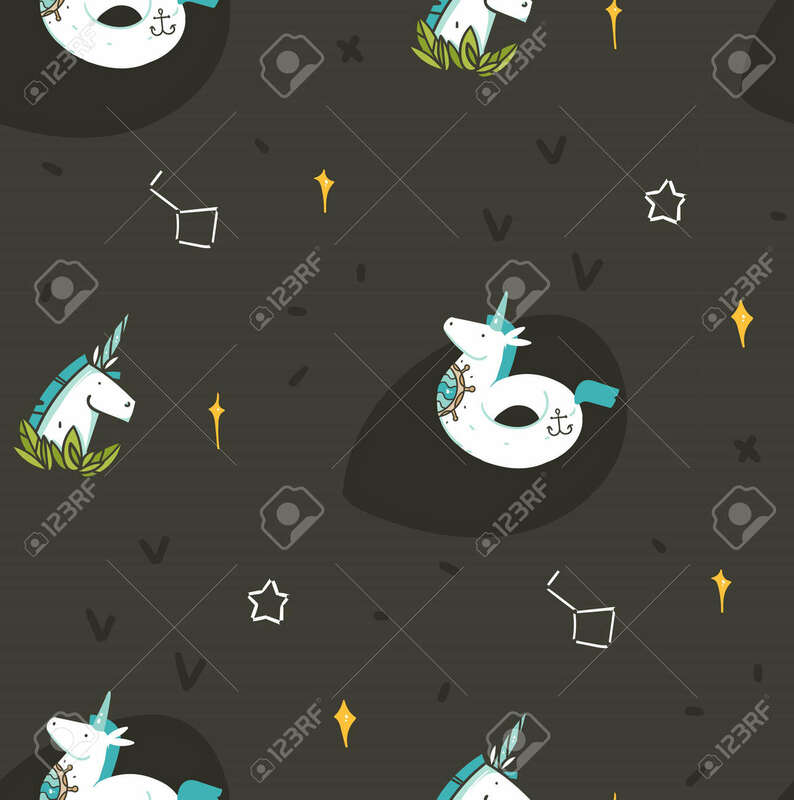 Reklamní fotografie - Hand drawn vector abstract graphic creative cartoon illustrations seamless pattern with cosmonaut unicorns with old school tattoo,pegasust and planets in cosmos isolated on black background.